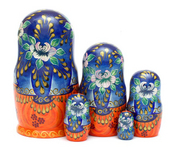 We are glad to present you this Traditional Russian Nesting Doll - Beautiful Russian Bride. There are 5 figures in the nest. The tallest one is 6 1/2", while the smallest is 1 1/2". 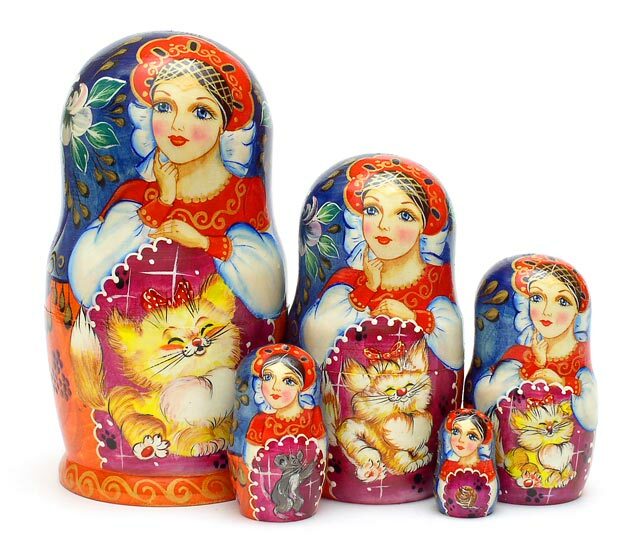 All dolls are dressed in traditional Russian clothes. Signed by a Russian artist and made in St-Petersburg, Russia.